Much has changed since the Hang® (drum) was first created in the year 2000. Before we delve into the history of this amazing instrument and how it came to be, we first need talk about the controversy surrounding its name and why you shouldn’t call it a Hang Drum. So, first things first, we need to clear up that the instrument is not technically called a Hang drum. This is a misnomer. It is, in fact called a “Hang Instrument”, “Hang hang” or just “Hang”. The most appropriate name for instruments made in inspiration of the original Hang ® is Handpan or Pantam. With that said, it’s fair to say that the incorrect term “Hang drum” has caught on and is not going away, despite the wishes of its original creators. The Hang was introduced to the public domain in 2001 by a company called PANArt and was created the year before by Felix Rohner and Sabina Schärer - both from Bern, Switzerland. In late 2013 PANArt decided to discontinue the production of the Sound Sculpture Hang entirely and instead concerted their efforts on their new creations, the Gubal and the Gede. Although PANArt’s new instruments sound great, they don’t quite have the same beautiful resonant sound that the original Hang design produces, and for this reason, the original Hang and instruments made in its image are still highly sought after. You can read more about the history of the hang here. Because the design of the original sound sculpture Hang created such a beautiful and resonant sound, the discontinuation of the original Hang instrument created a void. The production of the original Hang design may have stopped, but the demand for the instrument certainly didn't. The term Handpan is used to describe the instruments inspired by the original PANArt Hang. These instruments usually have a dimple in the middle of each note and generally have a Gu (hole) on the underside of the instrument. Handpans generally have anywhere between 7 to 12 notes, although 9 note Handpans are the most common. Although Tongue drums are technically Handpans as well, rather than having dimples for each note, each note is cut into the drum in a tongue like shape. The maker can tune the tongues by varying the length of the cuts, or by adding weights to the tongues. These instruments are generally less expensive and come in a lot of different shapes, sizes, and designs. In the video below, Lucius Harvey demonstrates different types of Hand Pans. Smaller steel tongue drums don’t reverberate as much as the larger ones. So in other words, you don’t get as much of a “full” and loud sound out of them. You’ll notice in the video that the larger the instrument is, the better it sounds and the longer it reverberates. One of the downsides to the tongue drums is that they aren’t as loud when they are played with the fingers, which is why most Steel Tongue Drums come with a pair of mallets to hit the drums with. The mallets make the drum sound louder and also makes the sound reverberate longer. Unfortunately using the mallets really takes away the “texture” and diversity that comes with playing an instrument like this with your hands. With all of that said, most of the tongue drums are also significantly less expensive. The video demonstrates well that the larger the instrument, the better quality of sound is produced. Back in 2001 when PANArt first opened their doors to selling the Hang to the general public, their initial starting price was $400. Right about now, you probably wish you could build a time machine to go back and grab one of these beauties for $400. But unless you’re Rick Sanchez, you can’t. As you can imagine, when the popularity of this beautiful instrument grew, so did the price tag. The last generation, just before they were discontinued sold at $2,600 each. It would be reasonable to say that the genuine Hang has become somewhat of a collector’s item now. As I’ve mentioned already, a second hand genuine PANArt Hang® can range from $4,000 – $12,000 and up. It’s safe to say that this is not an option for most people. If you’re set on getting yourself a genuine Hang, then it might be worth trying to hunt one down on eBay or Craigslist, but beware! These kinds of items can attract scammers because of their high price. So don’t get fooled by a deal that is “too good”. If it looks too good to be true then it usually is. Always research the seller and if it’s a Craigslist listing, ask to see the item in person before making the deal. Luckily there are now a growing number of manufacturers making Hand Pans just like the Hang® drum at much more reasonable prices. These instruments generally range in price between $1,600 to 3,000, with the cheaper options usually being manufactured in Bali or Vietnam. You can find high quality, hand made options here on our shop. Since discontinuation of the Sound Sculpture Hang®, the price of the now rare instrument has risen far beyond what the instruments were originally sold for. 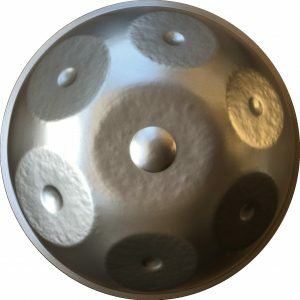 If you want to buy an original Sound Sculpture Hang drum, you would be very lucky to find one for under $3,000, so I suggest choosing some of the handpans that are made in inspiration of the Hang design. 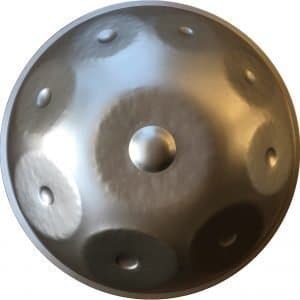 If you just want to buy a handpan, then I do not suggest buying a 2nd hand Hang, instead, I suggest either buying one of PANArts newer instruments, or choosing from one of the many alternatives that are made in the image of the original Sound Sculpture desgin. 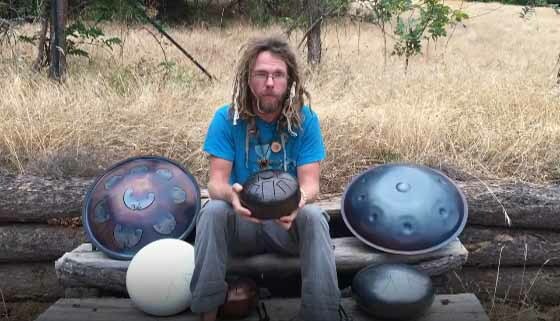 In short you can expect to pay $1,600 – $3,000+ for a Hang style Handpan. You can find alternatives for $200 – $800, I will go into the cheaper alternatives further down the page here. To buy an instrument similar to a Genuine Hang, you’re looking at around $1,600 – $3,000. Hang Drums around this price range are good quality and are generally made in Vietnam, Bali or Russia. While they are not made exactly to the PANArt Method, they are still lovely instruments. For a Hang Drum that is made according to the PANArt Method, you can expect to pay around $3,000 on online stores, such as Amazon. If this is understandably out of your budget, there are other options available which I have gone into further detail on the Hang Drum Alternative page. Where to buy Hang Drums for Sale? Because it’s not possible to buy a new genuine PANArt Hang anymore (in 2013 PANArt ceased making them) your only option is to buy one second hand on an online marketplace such as eBay or Craigslist. It’s usually a rule of thumb that a used item is cheaper than its brand new counterpart. If you think this rule applies to a genuine Hang, then you are in for a shock. A second hand PANArt Hang Drum will usually sell for two to three times, sometimes four times its original price! (Selling anywhere between $4,000 to $15,000). Unless your heart is set on buying a genuine Hang by PANArt, there are better options than buying second hand without compromising on quality. Purchasing a Hand Pan straight from a manufacturer can be a painstaking and time-consuming process. Because there is not a lot of competition, manufacturers usually have long waiting lists and may even turn your application to buy a Hang Drum away! I’ve heard stories of people waiting up to 6 months just to get their Handpan. If you want a specific brand and you’re patient, this might be the option for you. If waiting up to 6 months for a Handpan sounds insufferable, check out some of the options we available for immediate purchase below. We work closely with handpan makers and manufacturers to make Handpans as easily available to the public as possible. We have some lovely sounding Handpans available on our store that are hand made with love. Check out our range here. There’s no doubt that Hang Drums can be expensive AND hard to get. If you understandably don’t want to pay over $4,000 for a genuine PanArt Hang Drum and the more affordable Handpans that are listed for sale on our website are still out of your budget, then the best option for you may be a Steel Tongue Drum. 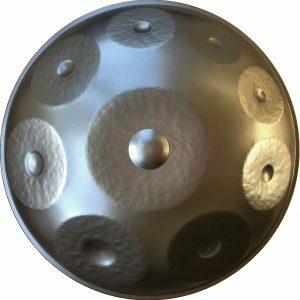 The Steel Tongue Drum (also known as the Tank Drum and Hank Drum) sounds quite similar to the Hang and is great alternative to the Hang Drum. You can expect to pick one of these up for $200 – $800 and they’re a lot more readily available. Some of them also have some stunning designs on them! Although our Handpans are not exactly the same as the original PANArt Hang, they sound similar, are far more available and much more affordable. Would you prefer to pay your instrument off over 3 months? If so, we offer a 3 month payment plan at no extra cost. No! Unlike the majority of Handpan makers and suppliers who have 2 – 12 month waiting lists, we do not have a waiting list and most of the time we have instruments in stock and ready for immediate dispatch. Delivery is completely free. Our mission is to make Handpans as available and affordable as possible for everyone, and for this reason we offer free shipping – worldwide. Usually between 3 to 10 days. Yes, to make things easier for people, we offer a three month payment plan so that you can pay your instrument off over 3 months. 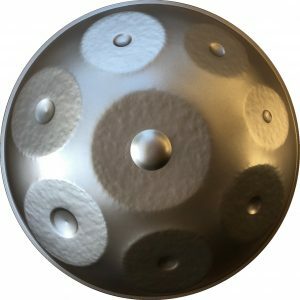 If you choose to pay for your handpan over a payment plan, your instrument will be delivered to you once paid in full. What happens if my Handpan goes out of tune or needs repairing? If you play your instrument correctly without using excessive force, it’s very unlikely that your instrument will go out of tune on its own. Over long periods of time though (2 – 5 years), your instrument may shift in tune slightly. We have found that all of the notes on an aged Handpan will typically shift together. What this means is that over time your instrument may not be perfectly in tune to 440 Hz Western tuning, but will still be in tune to itself and will sound fine to a hobby player. With that said, if you would like to have your instrument retuned we are happy for you to send your Handpan back to our workshop for a retune. You would be responsible all postage costs and a small retune fee. What if it needs repairing? If you happen to damage your instrument from denting it or dropping it at waist height, in most circumstances we will be able to repair it for you, however if you’ve dropped it from a 3 story building or from a moving car, then unfortunately you would need to purchase a replacement. Can I retune my Handpan myself? No, a re-tune must be carried out an expert who has experience in tuning these types of instruments. In most cases, someone who doesn’t know what they are doing will likely cause more harm than good. If your Handpan requires retuning, please contact us. 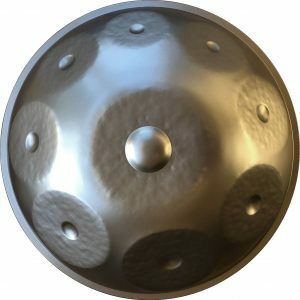 Will excessive heat cause a Handpan to go out of tune? Because Handpans are made out of metal, direct sunlight can cause them to become so hot that you could cook an egg on it! When the metal heats up, it expands. This causes the notes of the drum to temporarily become lower. But it’s not just high temperatures that you need to be concerned about. When left in extremely cold temperatures, the opposite will occur and the metal will contract and the notes will become higher pitched. 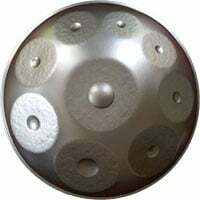 When the instrument is returned to room temperature, the sound of the notes will usually go back to normal, however it’s important to ensure not to store your Handpan in direct sunlight or leave it outside in the snow. Where is the best place to keep it when it’s not being played? It’s extremely important that you remember to never lay your instrument face down on its notes. If stored in this way regularly, the pressure on this notes can eventually cause it to go out of tune. It is also very important to never leave it in the sun or outside in harsh weather conditions. If you treat your instrument with love and care, you instrument will stay in tune for many, many years to come. What’s included with our instruments? All of our Handpans come with a soft backpack style carry case included in the box to make transporting your instrument safer and easier. We also include a hard protective cover to further protect the instrument during delivery.